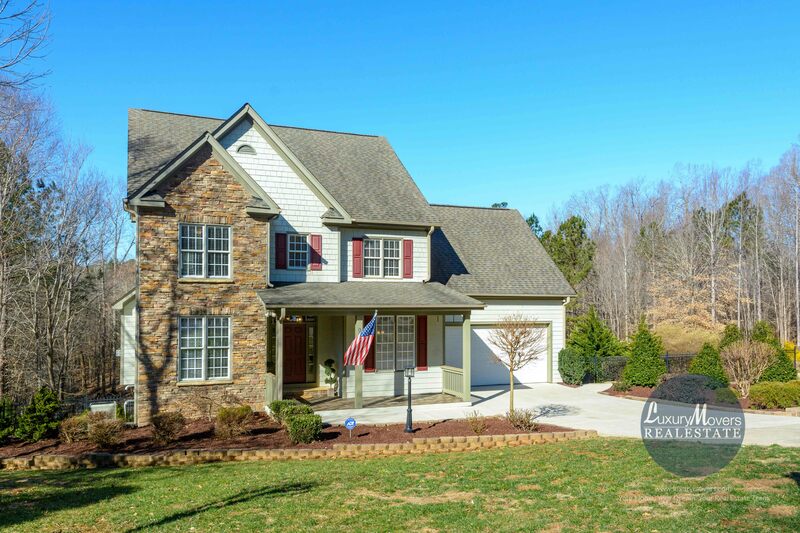 Gorgeous home in Wake Forest with magnificent views! Open house this Saturday, January 26, 2019, 12-3 p.m. This four bedroom home lives like a five bedroom, with a second floor bonus room! Gourmet kitchen with granite countertops, tile backsplash, stainless steel appliances, under cabinet lighting, and a butler’s pantry with a wet bar. Opens to family room with a gas fireplace. First floor with hardwood floors, crown molding and 9’ ceilings. Two sets of stairs to the second floor! Walk out finished basement is perfect for an inlaw suite- full bath, office and flex space, with a patio. Huge deck and fenced yard! Walk up third floor attic for extra storage that could be finished. New paint and carpet. Stop by our open house this Saturday, January 26, 2019, 12-3 p.m. , or contact us at info@luxurymovers.com or 919-424-1867 to schedule a private tour!